Vanadium (V). 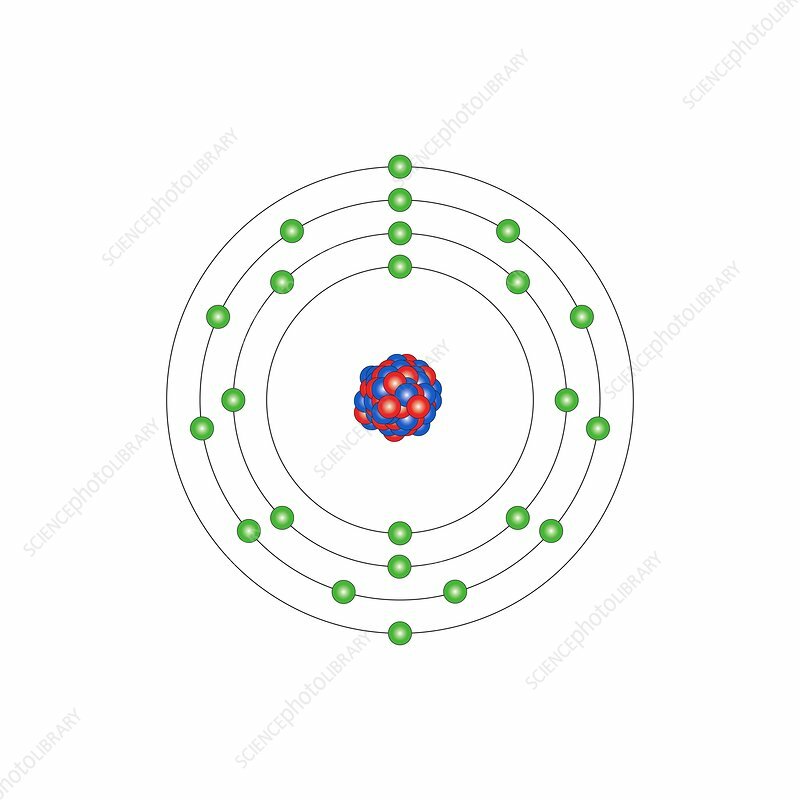 Diagram of the nuclear composition and electron configuration of an atom of vanadium-51 (atomic number: 23), the most common isotope of this element. The nucleus consists of 23 protons (red) and 28 neutrons (blue). Vanadium is a transition metal in group 5, period 4, and the d-block of the periodic table. It has a melting point of 1910 degrees Celsius. The trends across the transition metals are due to electrons filling an inner d-subshell (here, within the 3rd ring), shielding the outer electrons from the increasing nuclear charge.